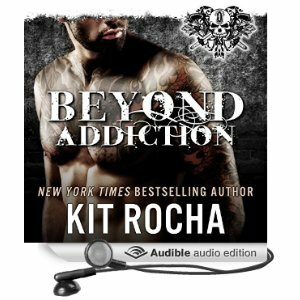 Beyond Addiction is available on audible! 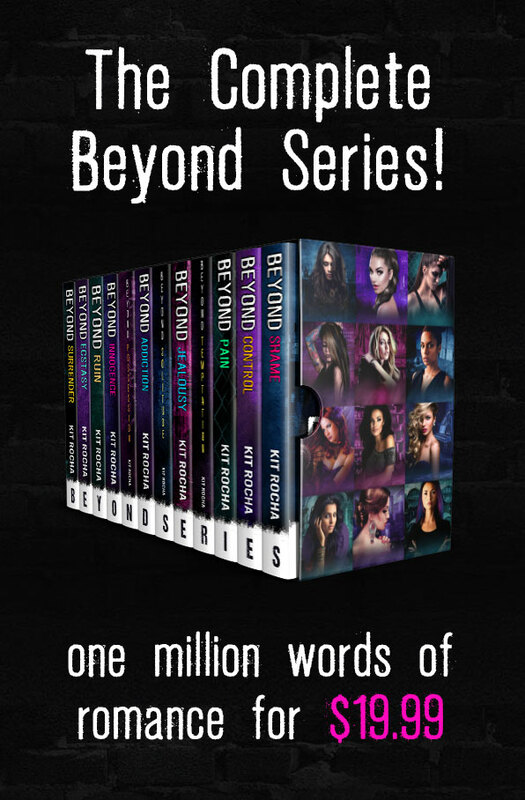 We’re working on catching up with the Beyond series in audio. The latest addition is available now on Audible and iTunes. Are you new to audio? Or thinking about dipping your toe into it? The first three Kit Rocha titles are available via Whispersync! That means that if you already own the kindle version, you can get the audio for a huge discount ($2.99, last I looked) and switch back and forth between reading and listening to the books any time you want. Since Beyond Shame is currently free on kindle, you can get both audio and ebook for $2.99! 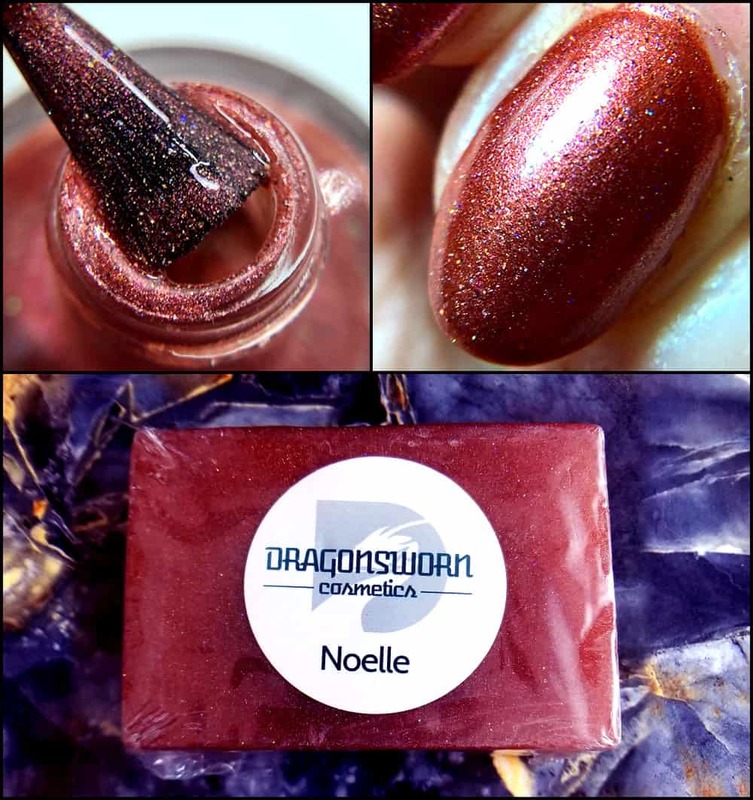 For the last weekend in June and the first week in July, we’re having a sale! A We’re-Almost-Done-Writing-This-Next-Book-Wheeee! sale! So while we’re busy wrestling this hero and heroine toward their crazy dramatic happy ending, you guys can be catching up on all the O’Kane stories. Get Beyond Shame & Beyond Jealousy before the prices go up! Still discounted for a few days more…. So, we sat down, took a deep breath, and made the commitment. Barring another disaster like Snowpocalypse Two, Beyond Jealousy should be hitting your ereaders on March 17th. As many of you know, we recently had to face the decision to redesign the BEYOND covers so they’d be more retailer-friendly. click to enlargeAnd with that, we’re into our writer cave for a few months. 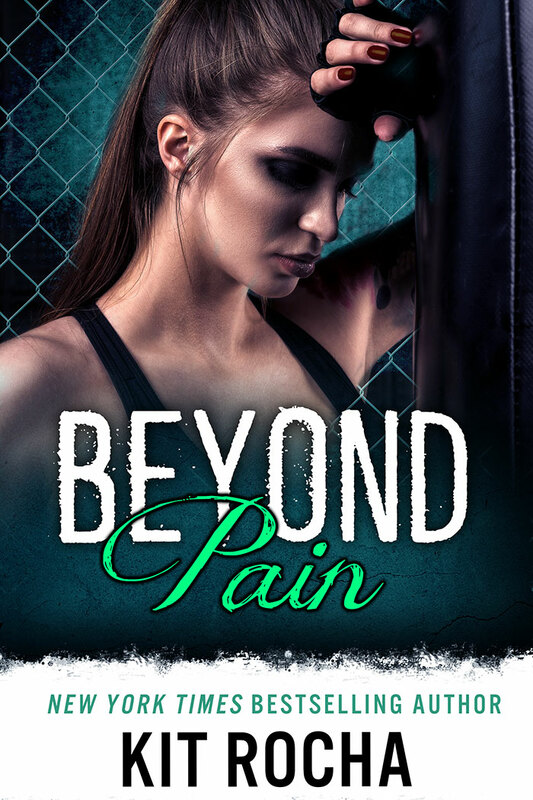 We’re finishing up our latest Moira Rogers title this week (or next week *g*) and then it’s straight into Beyond Temptation and Beyond Jealousy… look out, Ace. Exciting news! All Romance Ebooks selected Beyond Shame for a new promotion they’re running for their customers. Anyone who checks out at ARe will have the option to buy Beyond Shame at 50% off, which is an awesome $1.99 right now! We’re really pleased today to be able to announce that Beyond Shame will be coming to a store near you in the near future…as an audiobook! The lovely folks at Tantor Audio will be producing the audio version, and we’re confident that will make it both high in quality and widely accessible to all our readers. The best news: selling the audio rights to Tantor frees us up to keep working on Beyond Control. We’re hip deep in Dallas & Lex’s story, and can’t wait to share it with you. Though that’s still a few months off, at the very least, we have hopes that you could see the audio version of Beyond Shame a little sooner–hopefully quite early in 2013. 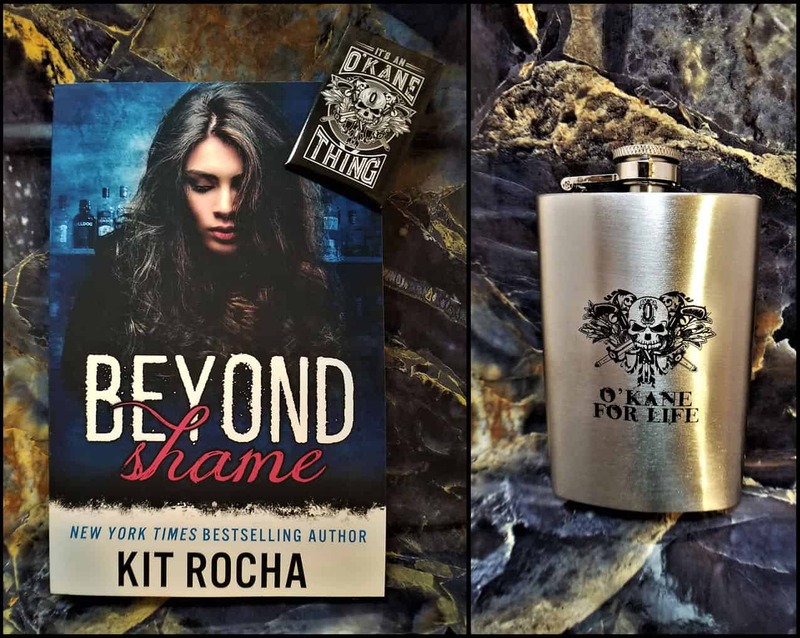 To celebrate the official, pretty-much-everywhere release of Beyond Shame, we’re giving away two O’Kane coffee mugs! 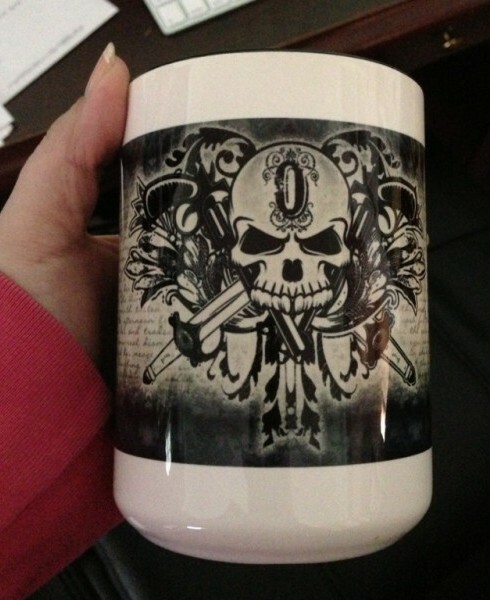 These are nice two-color mugs with the O’Kane logo. You can drink your morning beverage as badass as if you’d been partying like an O’Kane the night before. International entries are welcome, just fill out the form below! Got questions? We’ll answer them! So, we’re getting ready for our “official” release week adventure next week, but with the book already out in the public we’ve been getting lots of questions. I’m getting ready to put together a sort of, “What you can expect from the series” overview for next week, along with an FAQ page to answer the questions we’re getting most often.